The campaigns we love and that make the biggest impact make us think about the industry, the world at large, and our place in it. Global and national companies can do this easily, but it's important for smaller businesses to also think outside the box. Getting creative with your marketing campaigns can help your business attract new customers. 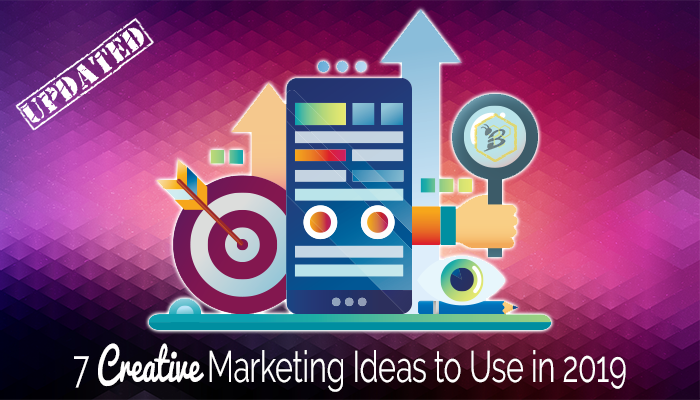 Here are four of our favorite creative marketing ideas that you should consider implementing in your campaigns this year and next. Contests and giveaways are a great way to get attention online. Everyone loves winning something and by consistently running fun, low cost giveaways, we've been able to quadruple the following for one of our clients over the last two years. You'll get engagement, but it takes more than that to convert that engagement into sales. Focus less on what it is you're giving away and more on how you're getting people to participate. For example, offer an entry in exchange for new customers liking your Facebook page or for existing customers to refer a friend. Creating engagement that will last beyond the run of the contest makes a free giveaway well worth it. PRO TIP: Contests fail, typically, for one of two reasons - 1. you require your followers to do too much in order to qualify or 2. the prize that they win does not align with your target persona. You don't have to give away a car in order to garner interest and create excitement around your giveaway, but the prize and the amount of effort required to qualify should be in alignment and should line up with your target personas. On a well-designed website, the user experience from start to finish will be seamless and easy. But what if that user's experience with your website actually begins before they click to your homepage? In order for mobile and online marketing to actually inspire users to click-through to your site, you need to prioritize the graphic design of your ads. If you want to be creative with your digital marketing projects, you can't be afraid to use striking visuals that will grab the user's attention. Your audience should be able to tell from one glance at a digital ad what your company is all about. Only creative graphics can tell a story in that way. For several years, "authenticity" has been growing as a marketing buzzword, and businesses are paying attention. Everyone is trying to find new ways to show their customers who they really are. Social media is the best platform for authenticity because it removes the marketing middleman. Posting photos and sharing stories makes customers feel like they're getting a real sense of what goes on behind the scenes. It also gives you a chance to respond to customer comments in real time. This way, you'll engage with your customers without ever making them feel like they're being marketed to. People don't buy from businesses, they buy from people and pulling back the curtain on your business and showing your human side can help you develop trust. No one goes online to feel like they're reading a textbook or a string of keywords stuck together. If you're still stuffing keywords into your content, please, for all of our sakes, stop now. Today's online audience responds to content that is engaging, creative, and valuable. This is especially true when it comes to your company blog. The blog is the first place customers look when they have questions about what you do or how you can help them. The posts they find should have an authentic voice that respects the reader. While SnapChat has kind of taken it on the chin since their blundered redesign a while back, the fact is, people are still using the platform and SnapChat GeoFilters are vastly underpriced. 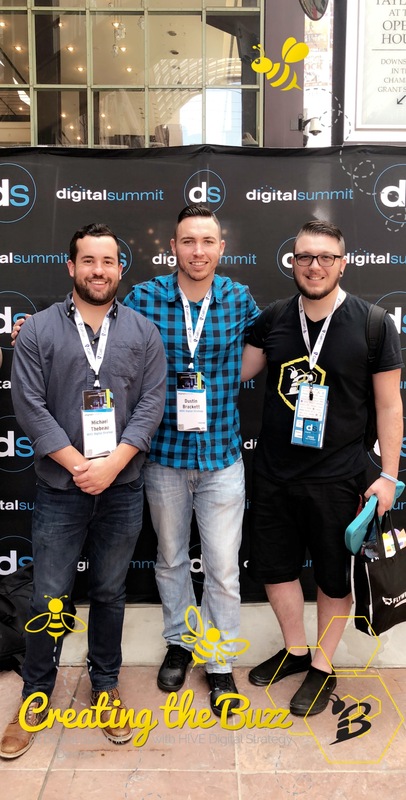 If you are hosting an event, attending a conference, or even just want to get seen in a specific geographic area, you can likely get a lot of good visibility by creating a branded and fun GeoFilter. One big opportunity any business has is to evaluate all the content that they own and start to find new and fun ways to use it. Have you written a blog post that got a lot of traction? Make it into a video! Break it up and share it in chunks through social media! Update it for the next year (like we're doing for this post)! You likely have a gold mine of content that is just begging you to repurpose into new formats! You don't have to spend a ton of time recreating the wheel, just take some time to find new ways to get your current content into the hands of your target personas! PRO TIP: Google LOVES fresh content and updating well performing posts fairly regularly is viewed very positively! I think we probably saved the best for last here. We are so excited about the evolution of one to one video. There are a lot of very cool things coming from companies like HubSpot and VidYard around using video to attract target accounts and prospects to you through the use of personalized videos. We have started using them at HIVE for some account based marketing and it's taking off like wildfire! We're getting responses almost immediately and our prospects are loving them! Video dominates our attention today anyway, but why stop there? By using personalization in your video, you can gain more attention to your videos and ensure that your prospects watch the whole video! Want To Improve Your Digital Strategy? Depending on the nature of your company, creativity may not be in your wheelhouse, but there are always opportunities to improve your online presence. A creative digital strategy will result in more engagement from your target audience.